Although the Samsung Galaxy Note 9 was released this month, it still does not affect the sales of the Galaxy S9 Plus, It is still the most popular smartphone in the Android mobile phone market. 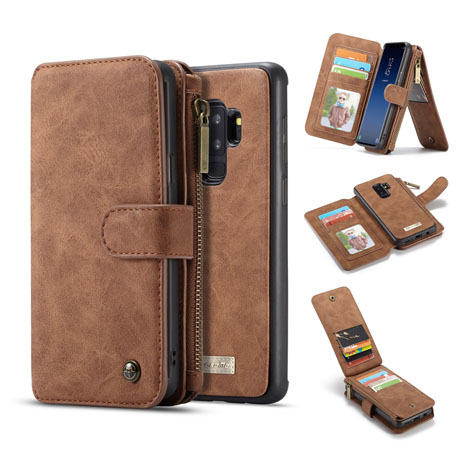 Due to the high price, the Samsung Galaxy S9 Plus case is a must the accessories, while the wallet case is the best protection, today we recommend some of the best wallet phone cases on the market. CaseMe case is known for its minimalist design, made of protective polymer, PU leather case with 6-foot drop protection, 14 credit cards, and a zip pocket for some coins or headphones. It features a 2 in 1 detachable design, which is a very useful feature that separates the phone case and wallet when a wallet is not needed. 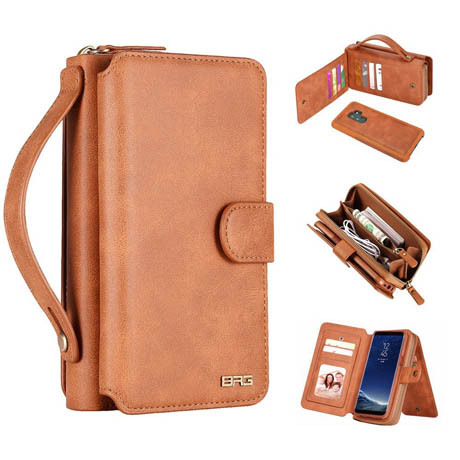 As you can see from the picture, this is a real wallet and it also protects your phone. It can easily hold up to 10 credit cards. 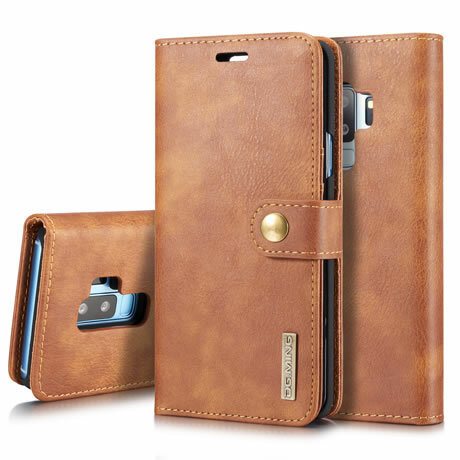 It has a full leather-wrapped your phone that prevents scratches. The back case is made of hard polycarbonate plastic to prevent collision and drop. Suitable for anyone who is worried about damaging their expensive Samsung S9 Plus. This well-designed DG.MING case wallet can hold up to three cards and cash, is compatible with wireless charging, and has a high grip texture side to help alleviate any unnecessary drops. With a detachable 2 in 1 design, the magnetic back case is automatically aligned when it is attached to the wallet, eliminating the need to do this manually.